Soothe, rejuvenate and nourish your skin with incredible sensations and euphoric aromas. 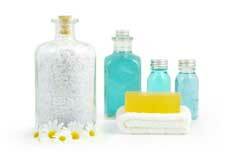 Our spa and bath products from Revive Products will make you look and feel your best. Choose from a variety of oils, soakers and enzymes that energize and invigorate your skin. Our specialists will recommend the best products to serve your day-to-day needs.